This was a sweet little project that I finished recently. It's my own design done to highlight the adorable creatures found in the Bugsy collection of fabrics by Kids Quilts for RJR Fabrics. 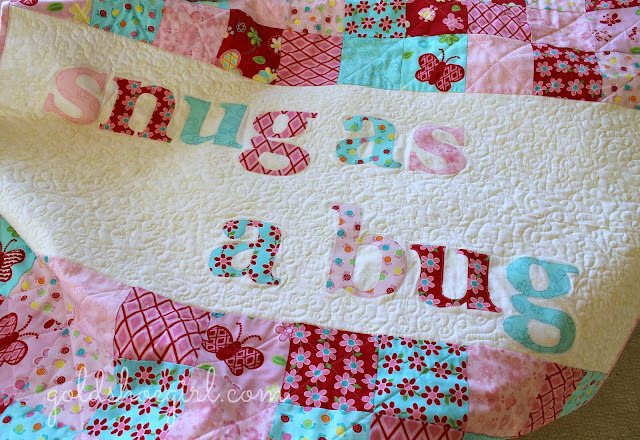 I thought the applique saying was kinda clever. 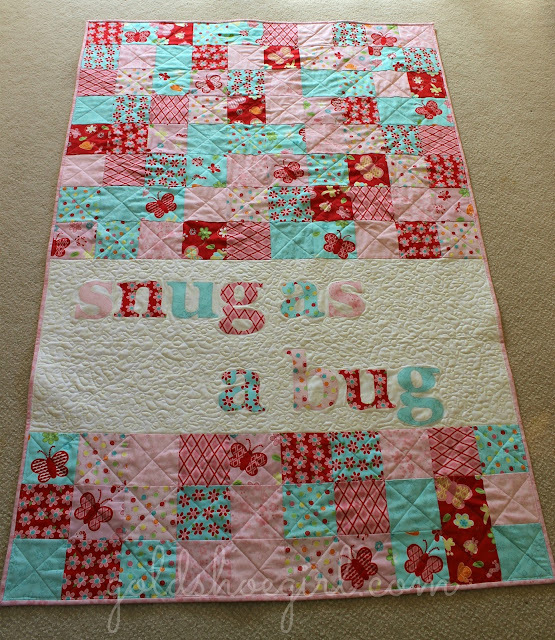 The top and bottom sections are done in patchwork squares - some fussy cut to highlight those wonderful butterflies. The middle was raw edge applique. 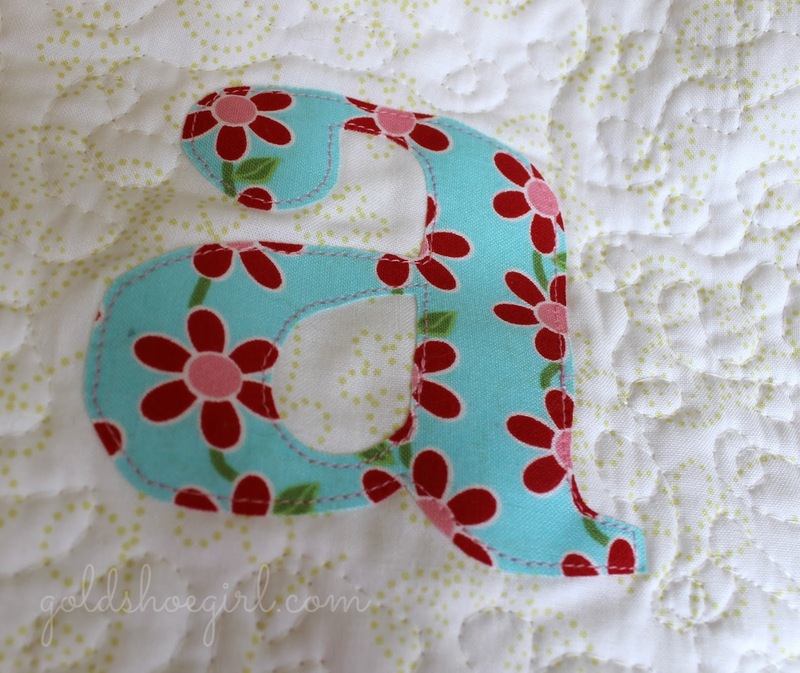 Each letter is a different print from the collection and the background for the applique section is also a print. It's a swirly dotty floral print on a creamy background. 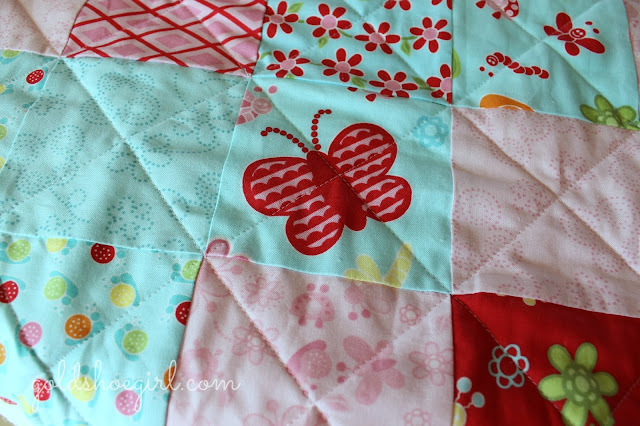 I quilted the patchwork squares crisscross and then did swirly loops around the applique. 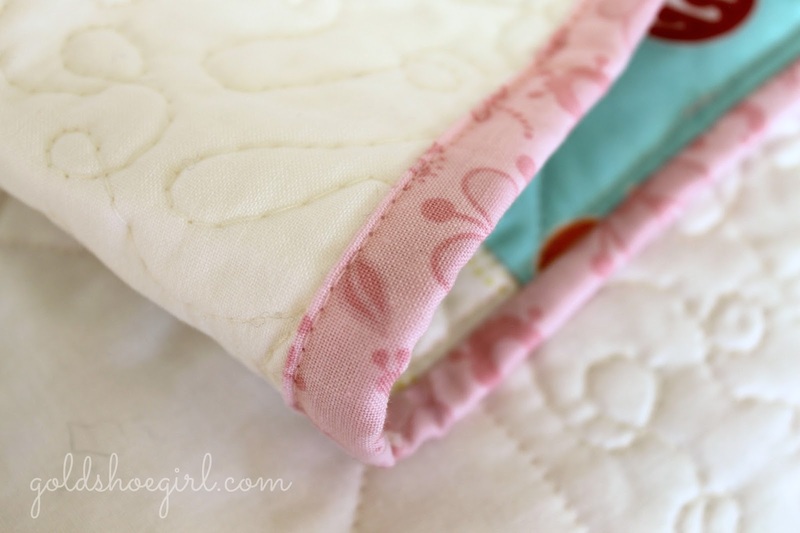 Of course it has a matching pink binding that I machine stitched on. Here's a close up of the prints in this line. Cute little snails and caterpillars, flowers and butterflies. It's definitely a girly quilt. This sweet baby/toddler girl quilt is available in my etsy shop for sale. The nice thing about making baby size quilts is that I am never really tempted to keep them. 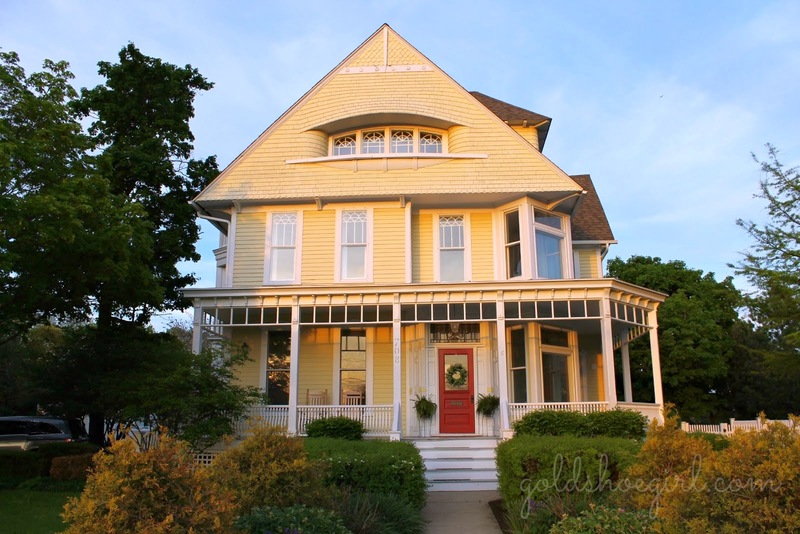 I love just being creative and then passing them on to be enjoyed by others.